Finely crafted in solid 14k white gold, featuring 7 dazzling Diamonlux™ cubic zirconias. Sold as an individual pendant, this heart works well with most chain styles. 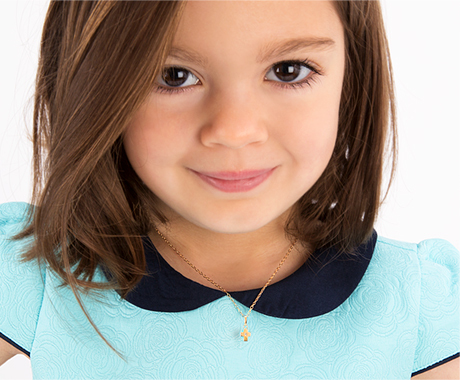 Or, upgrade to Tiny Blessings exclusive chain, featuring diamond cut luster and adjustable sizes to accommodate your fast-growing girl. A beautiful interpretation of a classic, timeless look. The delivery is super fast plus it comes in a cute gift box.